Again we have been spoilt with the artwork given via Anna’s Patreon. I’ve managed to create four completed spreads, all with a different theme. 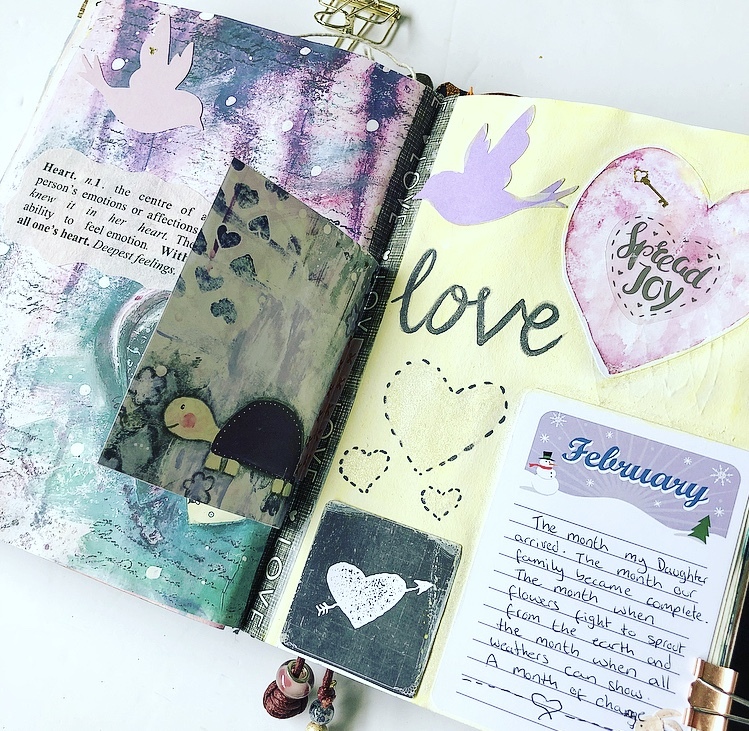 The first spread used a lot of Anna’s mixed media as they had a Feburary Love feel. I love the colour scheme used, it’s not your expected pinks and reds but instead uses blues, pale pinks, purples and a complementary lemon colour. I recently posted about the Crafty Bonbons box, I used a few pieces from here with it being a box of the same theme. 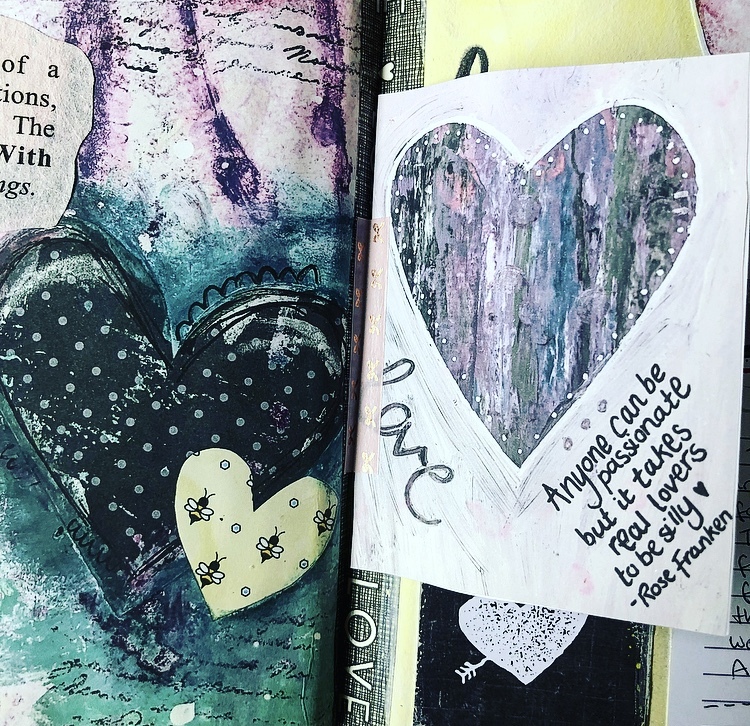 I used a February journal card to say what I love about the month and decorated the page around it. 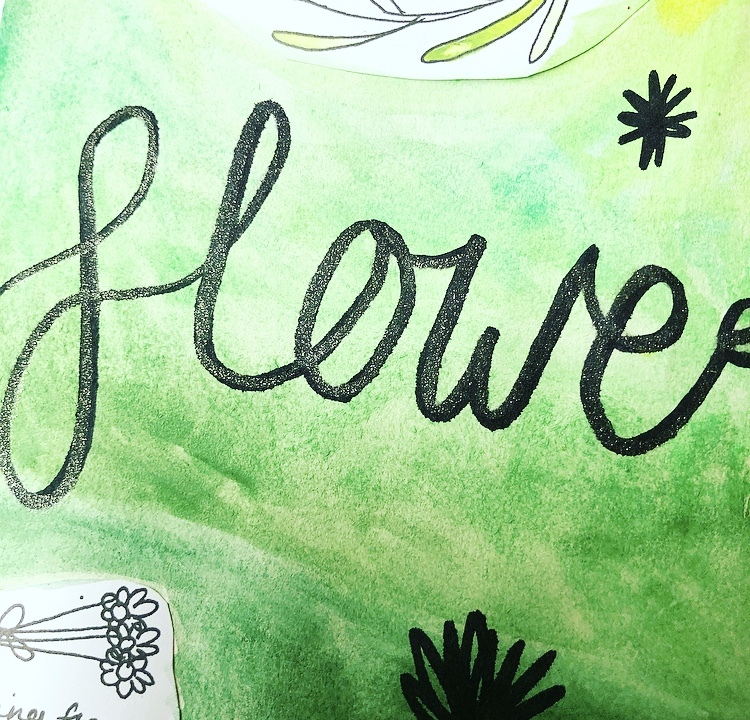 I even got to practice some more brush lettering! The second page has been inspired by the Snowdrop doodles. 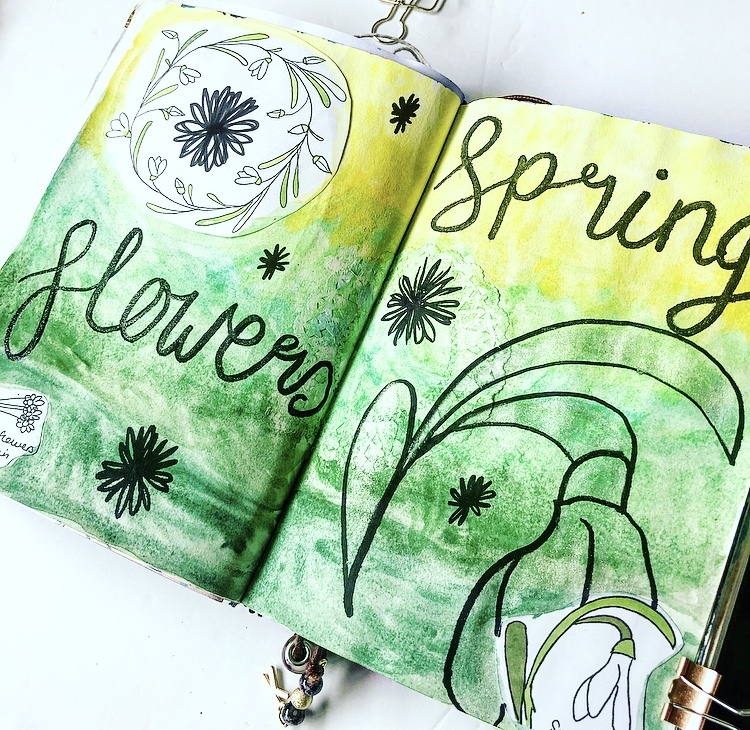 I wanted to use the same colours used in the flower swirl design (on the left) and keep the page fairly simple. I wanted it to have a fresh, happy spring feel. Again more brush lettering has been practiced and I’ve used a glittery clear brush pen over the black. 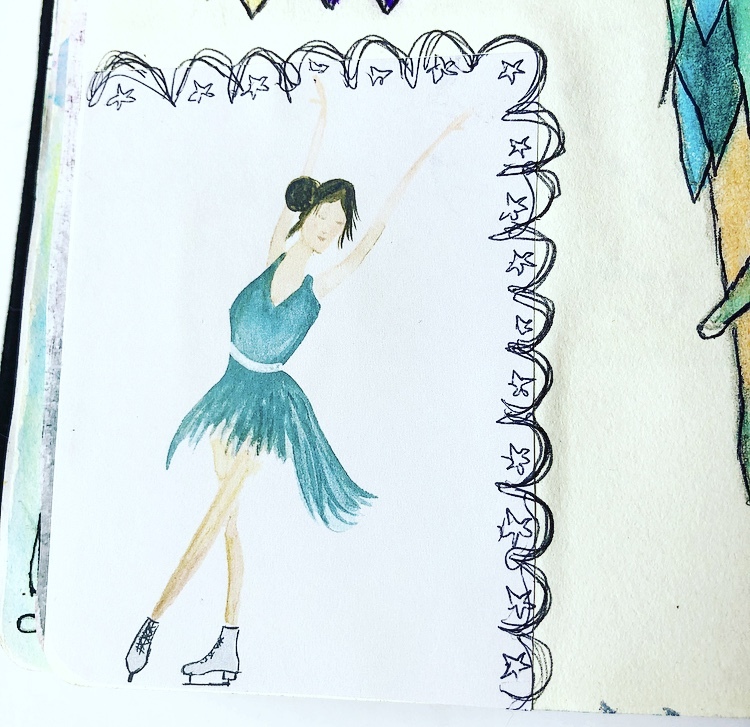 The third page is inspired by the Ice Skating Dancers. 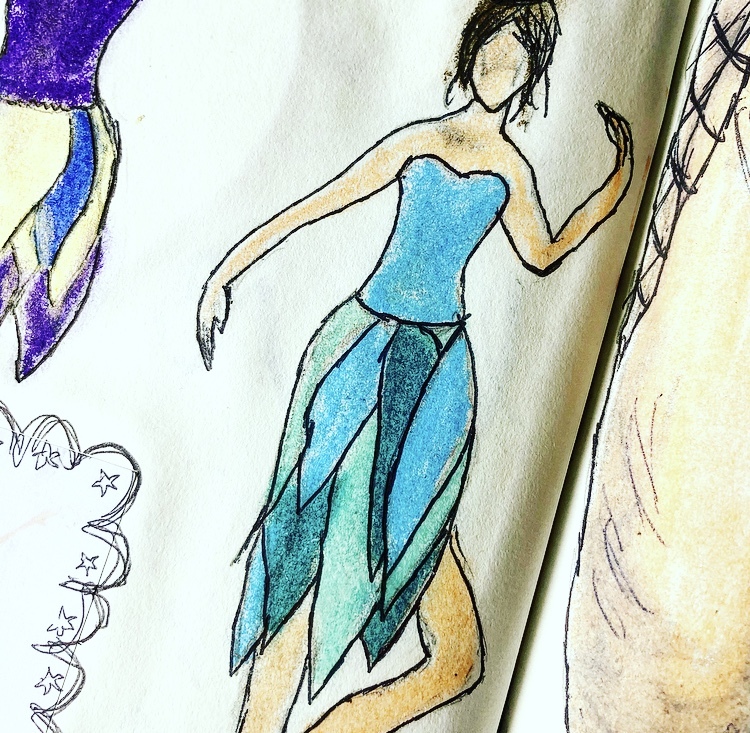 I used to attend adult Ballet classes and loved the positions of the drawings. The feel of the drawings made me think of flower sprits so I decided to sketch and combine this with Ballet. I played with dresses to give them a look of petals at the bottom. 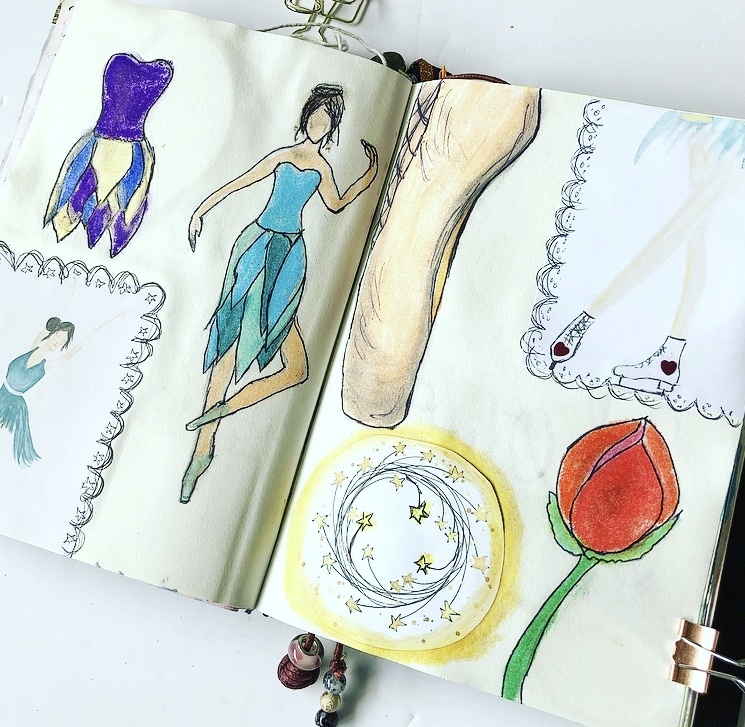 I also decided to draw a closeup of a pointe ballet pump, this isn’t a stage I managed to achieve due to falling pregnant whilst learning, however it’s something that one day I would love to re-visit and work up to. The fouth page is a swatch page. I have been wanting to do this for ages but it’s one of those things that have been on my list that I’d never gotten round to. Seeing Anna’s mini swatch square prompted me to have a go. 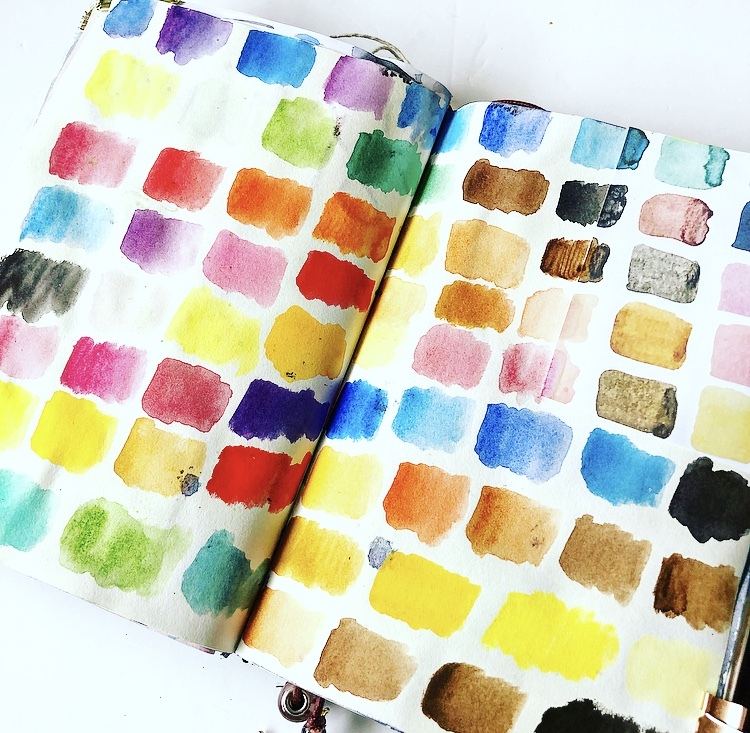 I tried to extend the swatches at the end of the mini swatch and after that it was a free for all! Lastly I have actually begun a fifth spread. 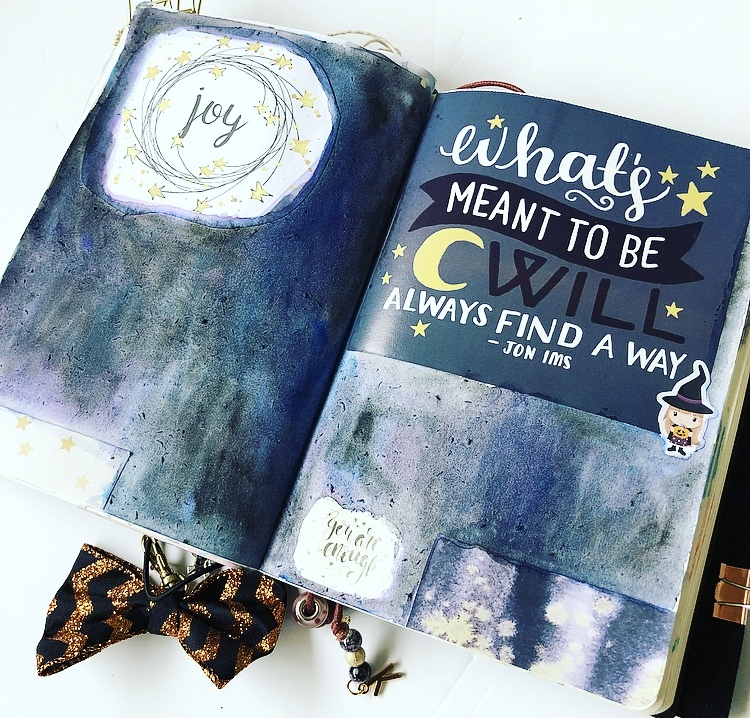 This is using some of Anna’s previous artworks and a quote from my 2017 calendar. I’m not sure how I will finish it but I’m loving how it’s looking so far. I’ve recently started a web site, the info you provide on this web site has helped me tremendously. Thank you for all of your time & work. “Everyone is responsible and no one is to blame.” by Will Schutz. You are my inspiration, I own few web logs and infrequently run out from post :). “Never mistake motion for action.” by Ernest Hemingway.